How to Use Prepositions of Place. 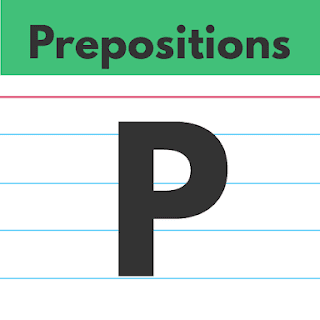 A preposition is a small word that shows the relationship between nouns in sentence. READ: Prepositions: Types and Problems. I am sure you are only conversant with adverbs of place and that is why in today's English tutorial we are going to look at some prepositions of place that are common in English. Let’s have a look at what they mean and how to use them. in front of - facing, ahead of or close to the front part of someone or something. • Hannah was in front of me in the queue. behind - “behind” is the opposite of “in front of” and means at the back part of someone or something or in or to a position further back than someone or something. • Charles sits behind me in English class. He disturbs a lot! between - refers to an object which is in the middle of two objects or places. • When you park your car you must park between the yellow lines. across from - also means opposite, it means that something is in front of someone or something but normally that they are separated by something in the middle, like a road or table. • At the meeting yesterday the boss sat across from me and he kept looking at me the whole time! next to / beside - “beside” and “next to” have the same meaning and refer to a thing or a person which is on the side of something else. • Please can I sit next to you during the movie? near / close to - “near” and “close to” have the same meaning. They mean that something is not very far away. • The Kiosk is near my house, only a two minute walk. on - means something is touching another thing normally on top covering or attached. • I sat on my brother’s phone and broke his screen. above / over - above and over have the same meaning, it means that something is higher than another thing or over the top of. • Can you see the plane flying above us? under / below - below and under have the same meaning and they mean something is at a lower level than something else or that something is above it. • Whenever we have dinner the dog sits under the table and waits for us to give him a treat.